The Canon imageFORMULA CR-50 Check Transport is an easy-to-use check scanner solution to decentralize and advance traditional check processing. It offers high-quality image scanning, precise MICR accuracy, reliable item handling, and other useful features to help facilitate efficiencies and successful electronic transactions. 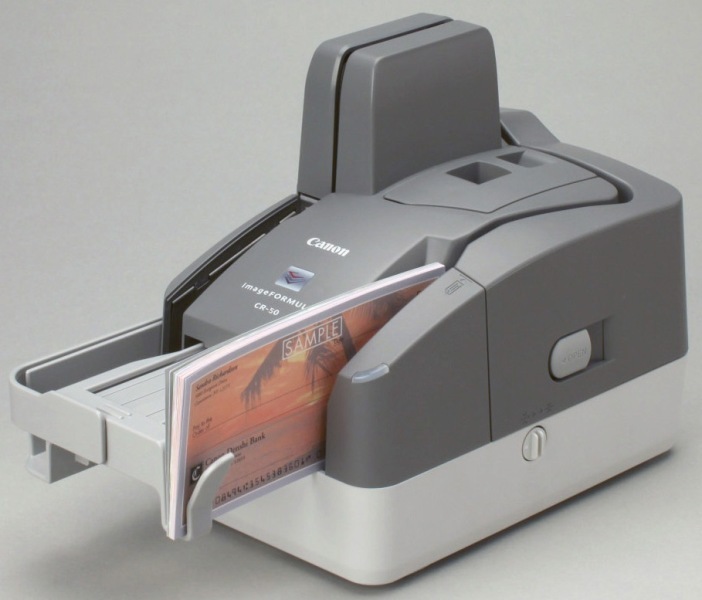 The CR-50 check transport is ideal for moving paper checks and related small documents in front-counter settings, for merchant/remote deposit capture (RDC) applications, as well as low-volume remittance processing. It enables users in environments such as small and large banks, credit unions, and retail to improve their point of presentment applications.